"Tschonghangkang: a temple which has been destroyed, in the fields near Tschanghangkang." [English: Tschonghangkang: a temple which has been destroyed, in the fields near Tschanghangkang.]" "[original caption] Tschonghangkang, zerstörter Tempel im Felde bei Tschanghangkang." Title: "Tschonghangkang: a temple which has been destroyed, in the fields near Tschanghangkang." 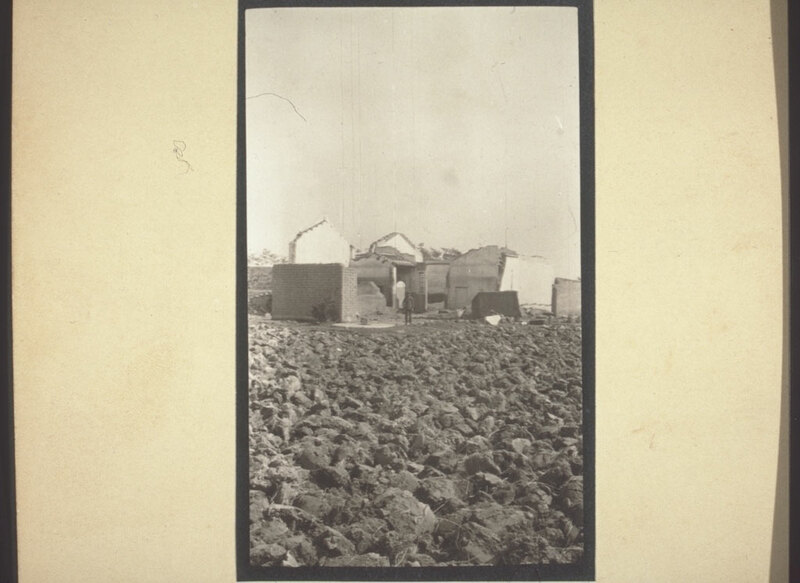 Oehler, Wilhelm (Mr) , “Tschonghangkang: a temple which has been destroyed, in the fields near Tschanghangkang.,” BMArchives, accessed April 19, 2019, http://www.bmarchives.org/items/show/50495.